Many people I meet feel we’re at a significant juncture. Economic fragility in the developed world, the astonishing growth of the emerging economies in Asia and South America, and the redefining of roles different industries perform in shaping our economies and livelihoods, all represent an underlying seismic shift. But where is this shift taking us? And what does that mean for us on a personal level? How will this impact on our businesses, our workplaces, our societies, and global balance of power, prosperity, and welfare? Big questions that challenge, inspire, and if we’re honest probably strike fear into our hearts as we look around us to see who’s next to have the ground move under their feet. Is this new? No, given the constant push of human endeavour in the midst of a changing world . But there are major occurrences which really get humankind to scratch their heads, and start a major rethink …. or should that be ‘upthink’? Evolution rather than revolution, as I prefer to see it. 1. Beginning of industrial production – The Industrial Revolution transformed local communities turning local producers and artisan craftspeople, into part of a larger regional and national economic vehicle. The creation of larger mechanised enterprises became mutually supportive to create larger industries reaching out to untapped markets. Britain’s output poured into its global channels powered by the engine of the British Empire. Personal network and manufacturer owned supply chain and distribution channels. 2. Proliferation of product – The invention of steam driven engines and powered machinery introduced changes to the manufacturing process. The ability to produce multiple versions of the same product and its component parts introduced the concept of the production line, and standardised ranges of products. The ability to reproduce designs of consistent standard and quality heralded the age of mass production. This helped established the business models of the early 1900’s where the focus on standardised production at ever-increasing, volumes where investment, costs, turnover and profits could be forecast in line with manufacturing output. The classic, often quoted example is Ford Motor Company, which became synonymous with highly efficient production lines that minimized manufacturing costs, maximised profitability, and offered employment opportunities throughout times of economic hardship and prosperity. 3. Competing products, adopting a sales-led approach – The establishing of recognised markets where universal recognition, appeal, and availability of product required the more competitive approach of needing to win the sale of a product against the competitor’s became the driving force in the first half of the 20th century, and has been a characteristic of new products markets – remember the advent of the personal computer market in the 1980’s? 4. Market saturation, enter the marketing approach – Differentiating products and services in the crowded marketplace and aiming them at the right people, at the right price, at the right time shifted the business focus from ‘pushing product’ to what the market wanted to buy. So it was time to start getting clever in a new way, by segmenting markets and targeting clearly defined audiences with appropriately aimed propositions. And this became evident in the new advertising approach that mirrored the overhaul of how businesses structured themselves and would market their products. This introduced a more sophisticated understanding that enabled businesses to focus on leveraging market forces and flexing the business to drive profitability, instead of being totally reliant on shaving costs, operational efficiencies, and maximised sales. The competitive environment meant that now pricing was dictated by what the market was willing to pay, making the legacy pricing models based purely on manufacturing and operational output costs unsustainable. Introduction of service components as part of the customer offerings, supported by sophisticated branding techniques ensured that the limitations created by saturated markets and market-led pricing, could be overcome by selling low cost services at high prices based upon their perceived high market value. 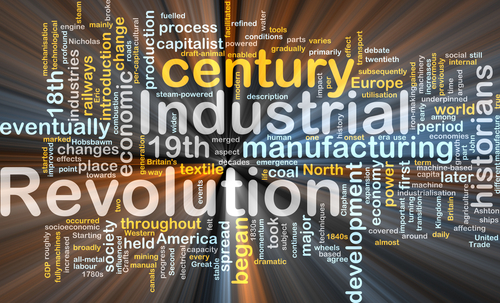 This became the driving business model across many industry sectors and formed the basis for many developed world economies, namely the United Kingdom which moved from a strong manufacturing economy in the first half of the 20th century to a service-based economy by the end of the century.